Helping Goffstown-area patients with today’s safe and natural chiropractic care is not only emotionally fulfilling, but also humbling. I see patients getting better every day, each of their visits building on the ones before. It is my desire as your Goffstown chiropractor to help you become your very best. 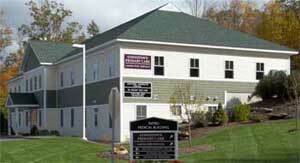 At Goffstown Chiropractic Care, PLLC we want you to have a happy, healthy life. Let’s discuss how we can work together to achieve your health goals. Call our Goffstown Chiropractic office to arrange a consultation so we can explain how chiropractic produces results the natural way without drugs or surgery.